A while back we had planned to try a fairly new sushi restaurant, Saiko, but it all fell through due to a growling stomach and too long waiting time, but we both kept it in memory and agreed to try again soon. The soon didn't come until this week, when I called there on a whim to see if there was room for a reservation. They could indeed squeeze us in. Yay! It was a great little restaurant; the sushi was among the best both of us have had, even if it was pricy, and the decor and atmosphere of the place was fun, relaxed, and hip. I didn't get to take any photos of the food but I did whip the camera out when I went to the bathroom and found the most quirky bathroom I have seen. 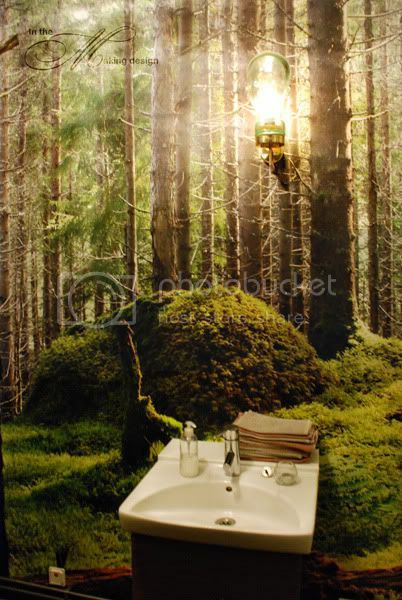 The whole room was covered floor to ceiling with a forest wall paper, there candle lights placed on the floor and on shelves, and there were speakers with forest sounds. Fun touch! It was a very good night and I'm glad we went, finally. Another new thing for this week was the Lancome Juicy Tubes lipgloss I got in the Pamplemousse shade. It tastes like candy, which isn't a bad thing. 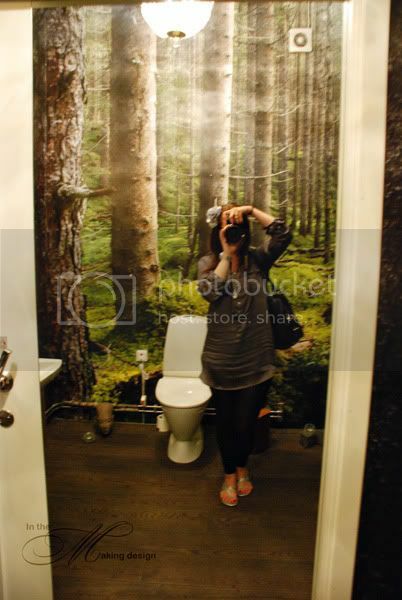 That kind of is an amazing bathroom. And I love juicy tubes. 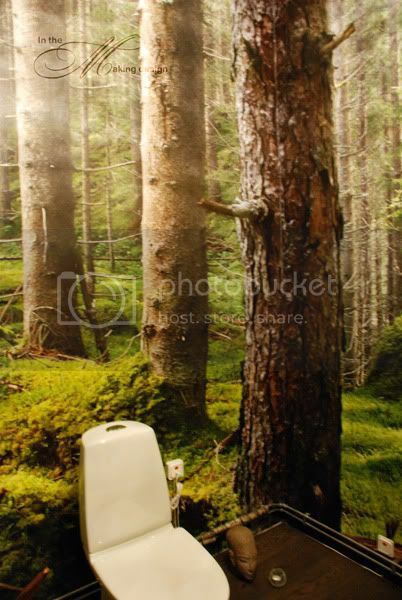 So did you feel like a bear in the woods in that bathroom? That cracks me straight up. My son would LOSE IT if he walked into a bathroom like that, we'd never stop hearing about it.